There has been a lot of talk about air pollution lately. In fact, the WHO head has just gone on record declaring air pollution as the new tobacco. From childhood, I had been taught that 'you are what you eat.' With what I know today, I'm having to unlearn that. There are 3 raw materials that we consume daily - food, water, and air. Our consumption of water and food is limited to 6-8 litres per day, at most. In comparison, we inhale 12,000 litres (amounts to 14kg, in weight) of air daily. So, clearly, we are what we breathe!! Our rapid industrialisation, economic growth, development, and increase in consumption have all combined to create an environmental disaster. Our air is now filled black carbon nanoparticles (PM2.5), that is a toxin and category-1 carcinogen. Depending on where you are, every Indian is smoking between 4-10 cigarettes per day, just by breathing. 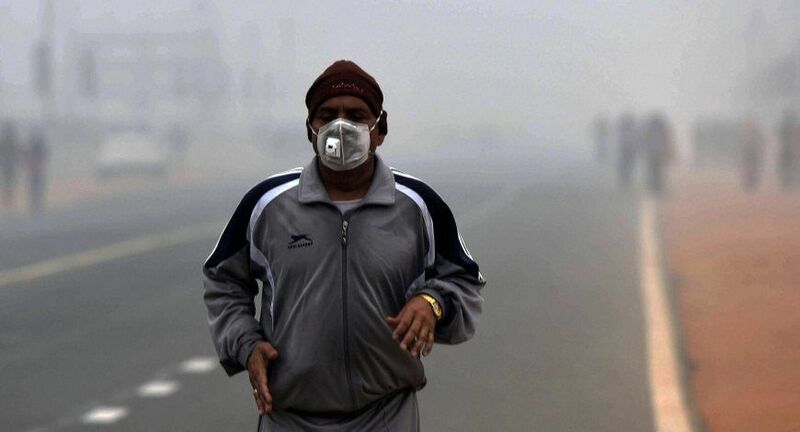 The years of life lost (YLL), healthcare costs and loss of quality of life implications are ginormous for a nation of 1.3 billion where 90% of the population is directly impacted by hazardous air. Most groups that are at the greatest risk include children, pregnant mothers, seniors, children and adults engaged in sport/activity, and sensitive folks that suffer from asthma and allergies. The black carbon nanoparticles(PM2.5) beat the natural filters of our body and enter the lungs. From the lungs, they enter the bloodstream, which carries this toxin to all the parts of the body. This is the reason that the medical fraternity is seeing a marked rise in non-communicable diseases, some of which include, asthma, COPD, cancer, heart disease, diabetes, hypertension, depression, infertility, and autoimmune disorders, to name a few. So how do we reverse this? The entire focus so far has been reactionary - odd/even, shutting down power plants, construction activity, etc, these are all measures to bring down emergency levels. We know all the sources of pollution - the only fix is to consistently and relentlessly go after all the sources of pollution - vehicular and industrial emissions, waste burning, construction dust, domestic heating and cooking, diesel gensets and more. We need to attack all these sources, so we never reach emergency levels. I do want to name some of the evils here - diesel and single-serve plastic for everyday common people and dirty fuels like coal, pet coke and furnace oil for the industry. We need to move instead towards public transportation, electric vehicles and biodegradable materials for the masses and renewable sources of energy for industry. The sooner we do this, the sooner we will see marked improvements in public health and quality of life. With an upcoming election, we have a tremendous opportunity to make health and environment an election issue - let's make clean air an election mandate and bring back blue sky and quality of life as an utmost priority. Let's all become change agents and spread our message of NO SAANS NO VOTE, far and wide. Or else, its 5 more years of breathing poison! !